Metro officials are planning an emergency response exercise in the tunnel between the Greensboro and Tysons Corner stations on the silver line. Metro says the exercise will last from 8:30 a.m. to 11 a.m. Sunday. Metro says the drill will allow emergency personnel to practice the evacuation of a train during a simulated smoke and fire incident. Metro says that more than 100 emergency responders will be involved, including some from Fairfax County and some from the state of Virginia. 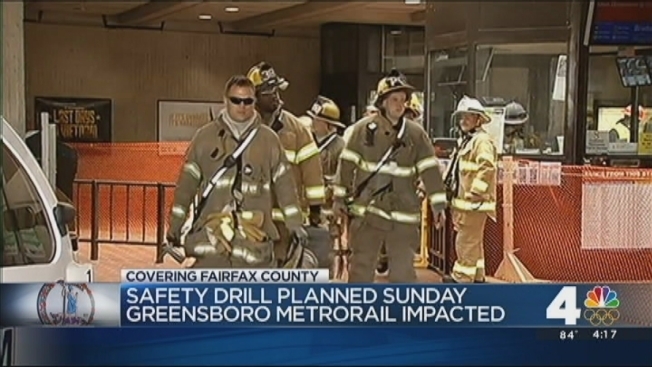 Metro says that the Greensboro station will be closed to the public from 7 a.m. to approximately 2 p.m.
Metro will be running free shuttle buses to accommodate riders during the drill.